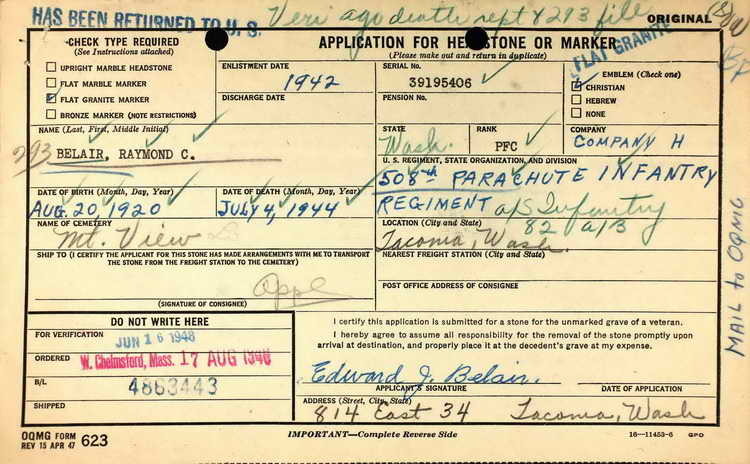 Application for a grave marker and resulting marker placed for Pfc Raymond C. Belair in Mountain View Memorial Park, Lakewood (Pierce county), Washington. Raymond enlisted in The Army in Tacoma, WA on 23 November 1943. Pvt Belair volunteered for parachutist duty and was assigned to Company H, 508th Parachute Regiment. He participated in the D-Day jump into Normandy, France. After more than a month in combat he was with an element of the regiment defending positions on Hill 95. He declared missing in action on 4 July 1944. That status was later changed to killed in action. 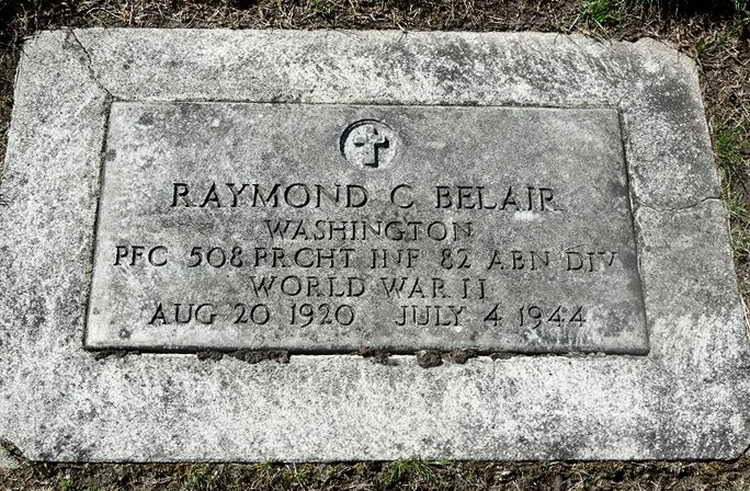 On 24 July 1944, Pfc Belair was interred in the Blosville Cemetery, France in Plot T, Row 8, Grave 148. He was posthumously awarded the Purple Heart and the Combat Infantryman Badge.